Matt Erhard has over 10 years experience in leadership and strategic management, and has partnered with global, national, and non-profit organizations across a wide range of industries in providing strategic direction on human capital. Matt’s area of focus has been in identifying and recruiting top-notch performers in sales, marketing, operations and management, non-profit, and executive search. Matt provides a proven methodology that gives his clients access to leading professionals in Winnipeg and across Canada – the ‘passive’ candidate market. 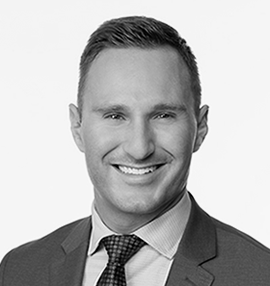 As the Managing Partner in Winnipeg, Matt’s role is to identify, target and connect with professionals from a variety of industry sectors with a focus on recruiting top sales, managers, and senior executive candidates. Matt partners with clients to provide direction on talent management and market intelligence across all industry sectors and has placed executives in start-ups, small and medium-sized firms, non-profits and national corporations. Trusted and valued, passionate about his work and committed to his clients’ success, Matt’s focus is on building and maintaining long-term relationships with clients. Matt is invested in the non-profit sector having been a long-standing board member and past chair of KidSport Winnipeg and involved in various other non-profit organizations including The Winnipeg Foundation, the Future Leaders of Manitoba Council, the Exchange District BIZ and the Whiteshell Advisory Board.